Communication equipment: battery cans, battery prismatic tab, battery, mobile phone, mobile phone battery core, mobile hardware etc. Electronic components: elec. capacitor, connecting cable, sensor, resistor, fuse, semiconductor devices, weld electronic foot to welding wire, weld the line to the terminal etc. Digital products: notebook computer, digital camera, MP3, computer memory cell head etc. Household appliances: socket, electric shielding shell, and so on. Automotive: flash, relay, filament, and so on. Electromechanical devices: contactor, breaker, motor, bulbs extraction lug etc. Metal products: medical equipment, lamps and lanterns, badges, headdress, jewelry and so on. Aerospace, precision metal parts, instruments, metal connectors, Honeycomb Tacking, induction device etc. 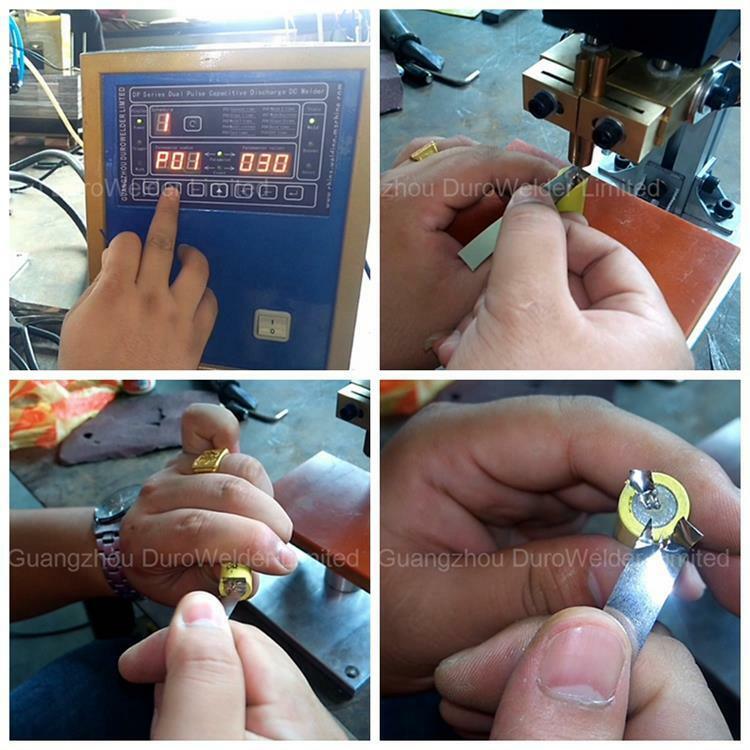 DP-1KW Precision Spot Welding System includes two main parts: Welding Power Source and Pneumatic Spot Welding Head. Power Source Part can work with other automatic welding tooling and fixture, the Welding Head can also work with other kind of welding power supply. The welding power equipped with digital parameter control, can store 9Â groups welding parameters for different work. Using Pneumatic welding head, only one slight press the pedal switch, the machine can complete one welding process, welding force keeps the same for every work piece, hence, it can maintain aÂ steady welding quality and easy for everyone to use. Precision Welding Head, including two models: Type A: Upper and Lower Type Welding Electrode and Type B: Single Side Welding with Parallel Electrode. It has the spring precisely adjusted function, good dynamic, strong stability, convenient adjustment, can adjust up and down, left and right,4directions of regulation, make sure to get the best welding quality.